Protocols are used by nurses in sick call to evaluate patients’ health care complaints. Protocols describe the steps to be taken in collecting the subjective and objective findings, the factors that lead to a diagnostic conclusion and the resulting actions taken to address the problem. Nursing actions driven by protocol may include treatment that a person would do for themselves if they were living in the community, simple first aid, health education or advice about self-care, and/ or referral to a provider. Protocols also exist for nurses to use in responding to medical emergencies. These protocols are more extensive than those used in sick call. Protocols discussed in this post are limited to those used to address non-urgent health care complaints. The use of protocols by nurses is not in lieu of provider based care but to facilitate patient access to needed health care. 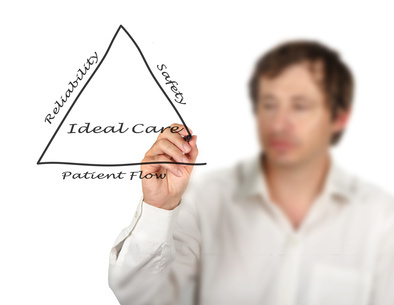 Patient care is enhanced when the protocols involve the patient in self-care and support collaboration between clinicians in the management of a patient’s health status. In the Oregon Department of Corrections, for example, 80% of patient concerns can be addressed during the sick call visit. Every nursing sick call visit should provide information about the patient that is considered useful in the next clinical encounter. Requirements for the use of protocols: The National Commission on Correctional health Care (NCCHC) provides detailed guidance about the requirements for use of nursing protocols in standard E-11 (2014). The first requirement is that the protocols are developed by the nursing administrator and responsible physician. The physician is responsible for ensuring that the protocols guide clinically necessary medical care and the nurse administrator is responsible for ensuring that nurses are allowed by law to perform the scope of work described in the protocol and that nurses are trained and competent to use the protocols. A note here is that this collaboration should include a discussion of the underlying philosophy and approach to patient care to build understanding of what each profession can contribute to patient access. Protocols are not intended to make nurses into physicians and must be written to remain consistent with the scope of nursing practice while at the same time supporting the patient to access appropriate, timely and responsive health care. A good place to start is to review the state nurse practice act to determine if there is any guidance regarding practice that is specific to the correctional setting or the use of protocols in any setting. Another important consideration is the differentiation in state law or regulation between the scope of practice for an RN and an LPN. In some states the nurse practice act may prohibit LPNs from performing sick call and in other states there may be limitations or additional supervisory requirements. evidence- based practice recommendations from the literature. Misuse of protocols: The most recent issue of CorrectCare has an article by Tracey Titus, a nurse and the NCCHC accreditation manager that discusses the misuse of nursing assessment protocols. She points out that the correctional environment sometimes lends itself to the misuse of nursing protocols. The following paragraphs are some of the ways that nursing protocols can become misused in correctional healthcare. 1. Protocols do not substitute for primary care encounters: Protocols sometimes go beyond the knowledge and skills of the nursing staff perhaps in the mistaken belief that nursing sick call takes place in order to reduce the workload of physicians, nurse practitioners and physician’s assistants. Nurses do not have the same diagnostic acumen and clinical skills as a primary care provider. Protocols are most appropriate to treat problems that in the community people take care of themselves and to determine the urgency of referrals for problems that need to be seen by a primary care provider. A best practice is to schedule a providers’ clinic at the same time as nursing sick call so that the nurse can confer regarding patients whose problem exceeds the scope of the protocols. 2. Protocols do not substitute for good security practices: At the other extreme sometimes sick call is used to control access to things that can be as effectively managed by good security practices. A couple examples are dispensing and supervising use of dental floss or determining if an inmate should be authorized to receive a second pair of long underwear. This is a waste of nursing time and burdens the efficiency of sick call and sick patients have to wait longer to have their needs addressed. Clinical errors are made when sick call is overcrowded and rushed increasing the risk of adverse patient care events. 3. Protocols cannot cover every problem: In my early experience we wrote protocols for many, many different conditions. A year later when the protocols were reviewed we discovered that the nurses really needed only a few. Furthermore the nurses had no way of remembering the details of so many different protocols. In our re-write we focused only on the most common complaints (e.g. pain, skin conditions, minor trauma and HEENT complaints) and have since only gradually added additional protocols based upon actual utilization data. 4. Unqualified personnel cannot use protocols: Many systems find themselves with legacy staffing patterns and assignments that require health care and other personnel to work outside their lawful scope. Because of a lack of clinical oversight state practice acts may not have been consulted when the assignments were originally made. Do not assume that because certain personnel have been performing sick call that the practice is allowable or has been grandfathered in. Most systems work through this situation by rearranging assignments to better match the qualifications of existing staff. 5. Untrained or incompetent personnel cannot use protocols: There are very few if any other nursing settings that use protocols to manage initial requests for health care attention. Therefore nurses do not bring to corrections experience in this area and must be trained. Some nurses even after initial training are not able to demonstrate sufficient competency. Placing a nurse who is not competent in sick call undermines the nurse’s potential for eventual success and puts patients in harm’s way. Instead an individual performance improvement plan must be developed and coaching, monitoring and supervision provided for a reasonable period of time. 6. Protocols are not standing orders: Standing orders are written orders that specify the same course of treatment for each patient with a certain condition. Historically standing orders have been overused in correctional health care as a way to treat inmates when physician time was inadequate. Protocols differ from standing orders in that the action taken by a nurse to address the patient’s complaint is individualized based upon an assessment of the condition. For example every patient’s headache should not be treated the same way nor should every diabetic be on the same sliding scale for insulin. Standing orders are appropriately used for preventive care, such as immunizations and for diagnostic preparation. How well do the protocols work at your facility? Are there too many or not enough? What kind of training did you receive in order to conduct nursing sick call? If you could make a change in nursing sick call what would it be? Please provide your thoughts and experience in the comments section of this post. This entry was posted in Sick Call and tagged Catherine Knox, correctional nursing, Essentials of Correctional Nursing, jail nurse, National Commission on Correctional Health Care, prison nurse, Scope of practice. Bookmark the permalink.